FIFA World Cup 2018 is around the corner, and there’s nothing like watching the soccer matches live in Russia! Spread across 12 Russian cities, you may be agonising over which matches to attend. 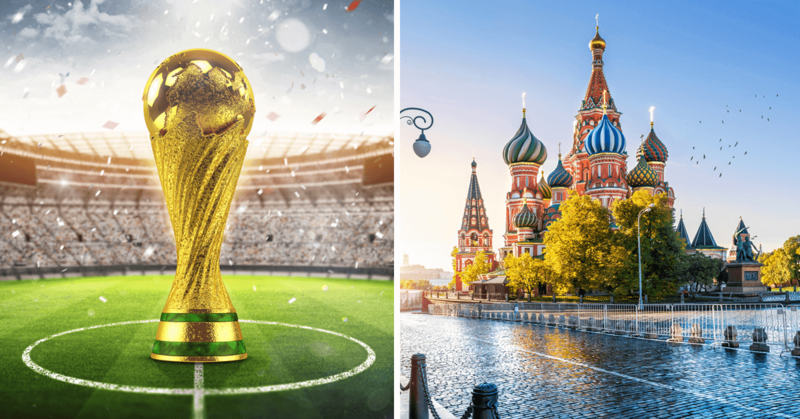 If you do not want to stray too far from the final match, the following host cities will allow you to get the best out of your Russia trip, even without stoppage time! In addition, this ‘handball’ includes top sights in each host city that you can enjoy below SGD30 per day – a sure-fire way to keep WAG (wives and girlfriends) happy after full-time. Read on! A city with rich history and culture, Saint Petersburg is filled with classical and baroque influences from centuries of interaction with Europe, perfect for the culture buff. Known as the ‘Venice of the North’ for its numerous waterways and canals around the city, there are much to explore before and after the exciting World Cup matches! With your travel map and travel insurance to back you up, head on out to the following attractions that would not cost you more than SGD30! Mention island hopping and we bet the first word that comes to your mind is ‘expensive’, since you’d usually need to take a boat and all. But you don’t need a boat to island-hop in St Petersburg, which is essentially a city built over 42 islands! Clustered in two or three close-knit islands (think Punggol and Coney Island), each island is connected by roads and bridges which allows you to trek around with ease. Explore Aptekarsky Island and its lush Botanical Garden, or cross over to Kamenny Island and marvel at the majestic baroque and romantic structures dotted around the area. Don’t forget to stop for a break at Yelagin Island, which is considered St Petersburg’s own Central Park with its lakes, ponds, and walking trails. As Saint Petersburg is the Venice of the North, it would be a waste if you don’t explore the city’s waterways! 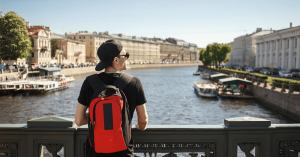 Stroll along the canals, or enjoy a languid boat ride down the Neva River – one of the largest rivers in Europe and the city’s main waterway – while viewing historic sights. There are various river cruise options ranging from 1 hour or more from SGD16 / RUB750 per person. We mentioned that St Petersburg was chockful of baroque and classical architecture, but to step into one and be enthralled by its magnificent décor is another thing altogether. If you’d have to pick one, the Hermitage Museum would be your best bet. Built in the 1700s, this impressive architecture served as the Winter Palace for the Imperial family, and had witnessed countless historic events. Entrance fees to the main complex and the rest of the buildings will only set you back SGD13 – 15 / RUB600 – 700, and entries are free on every first Thursdays of the month. With high profile World Cup matches such as France versus Australia, Poland versus Colombia, and Korea Republic versus Germany, etc., Kazan is the next host city that we recommend you shortlist in your Russia itinerary. Located to the east of Moscow, this historic meeting point of West-meets-East is one of Russia’s oldest cities. 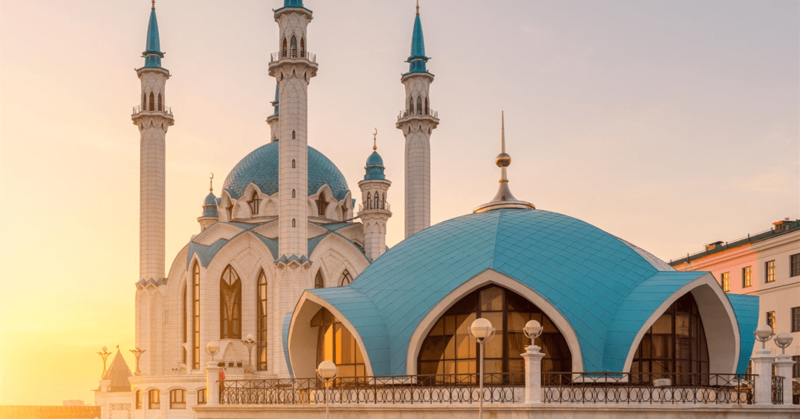 Kazan is known for its cultural diversity that includes the Russian and ethnic Tatars, along with a blend of Christianity and Islam. Easily accessible by flight and high speed rail from Moscow, Kazan warrants at least a 3-day stay! As baggage delays may be more frequent during this football season, pack a carry-on with you in addition to your check-in luggage if you are taking a domestic flight. When purchasing your travel insurance, ensure that baggage loss is covered in your selected plan. New places often mean new types of food to try out! Skip the usual restaurants in the city, and get a taste of local fare at the Kazan Central Market a la pasar malam style. Enjoy the rustic feel of the Kazan outdoor bazaar, and browse through the local offerings of delicious local treats like Balish pie, a handmade dish with potatoes and meat, and Chak-chak, a sweet treat deep-fried and glazed with honey before serving. This unique pedestrian-only area is definitely one of the highlights in Kazan. A 1.3km stretch which starts from the Kazan Kremlin, Bauman Street is often filled with various activities like street performances and buskers. Grab a cup of coffee (~SGD6 / RUB280) along one of the numerous cafes or eateries along the street, and take a leisurely stroll along the entire route. Don’t forget to take a selfie under the Arabic-esque clock sculpture at the end as proof of your trek! If you are planning to visit this iconic fortress in Kazan, be prepared to spend a day away from your football mania ‘cause the Kazan Kremlin is HUGE. Start your own personal tour around this compound at the Spasskaya, or Saviour Tower, at the entrance before heading in to view the jaw-dropping UNESCO World Heritage Site, Kul-Sharif Mosque – one of the largest of its kind in Europe. Standing at an impressive height, this mosque was said to have inspired the St Basil’s Cathedral in Moscow and includes a museum for Islamic culture. Explore the other buildings in the compound such as the Museum Complex and Annunciation Cathedral, and end your day at the leaning Khan’s Mosque. We are finally at Moscow! The capital of Russia and more importantly, the city where the World Cup finals will be held on 15 July. This city has a great mix of history, food, the arts, and breath-taking architectures interspersed throughout the city. Due to the influx of football fans, travel time might be delayed. But that shouldn’t stop you from hitting these scenic places before the match! The Red Square is undoubtedly one of the must-see attractions in Moscow. 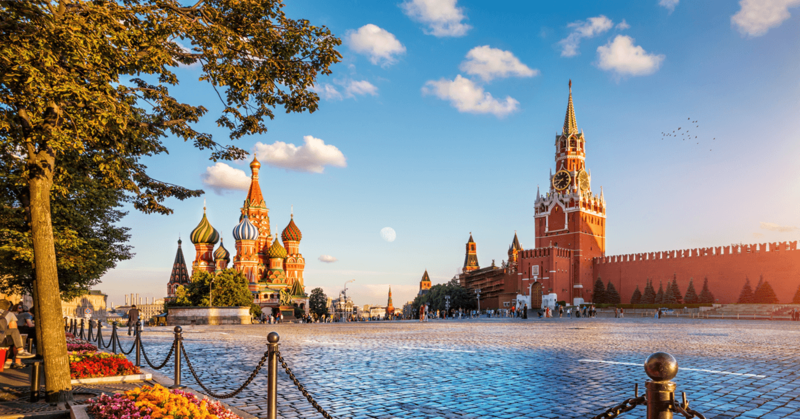 While it essentially is a large cobblestone square in the city, it is surrounded by many key attractions like the kremlin, St Basil’s Cathedral, and Lenin’s Mausoleum, which boasts amazing architectures. Some of these iconic sites charge admission fees but to be honest, their true charms lie in their exterior beauty. While you are in the area, don’t miss GUM – the main departmental store in Moscow – that promises retail therapy and aesthetic pleasure for window shoppers. If you have time before the next match, why not take a leisure stroll around the square? This large green space in the city isn’t just for park strollers; Gorky Central Park of Culture and Rest is the capital’s central park and a place for recreational activities of all kinds for locals and visitors alike. You can catch people holding outdoor dancing sessions, yoga and fitness classes, as well as rollerblading and skateboarding too. If you are a fan of contemporary artworks, don’t miss the Garage Museum of Contemporary Art housed within the park! Cost: Free for park, admission fee to Garage Museum of Contemporary Art at SGD7.50 / RUB350. A trip isn’t complete without some local souvenirs to bring back home! Skip the expensive touristy places, and head on over to Izmailovsky Market instead. With a wide variety of handcrafted traditional items and old memorabilia, you can expect to delve into interesting finds like jewellery trinkets, matryoshka dolls, and other antiquities too. Best to visit during weekends, street photography enthusiasts can also look forward to great pictures’ opportunities within Izmailovo Kremlin that hosts the market. Did we mention that there’s a Vodka Museum in the vicinity? Getting the best bang for your buck takes good planning! We hope the above information has helped. Here’s one last ‘handball’ for you that goes beyond the soccer fever this World Cup: Get Etiqa Travel Insurance for a peace of mind during your travel in this busy season. For the lowest reasonable cost, you shall be covered for unforeseen events such as flight and baggage delays, loss of belongings, hospitalisation, etc. We wish you bon voyage for your trip to Russia!